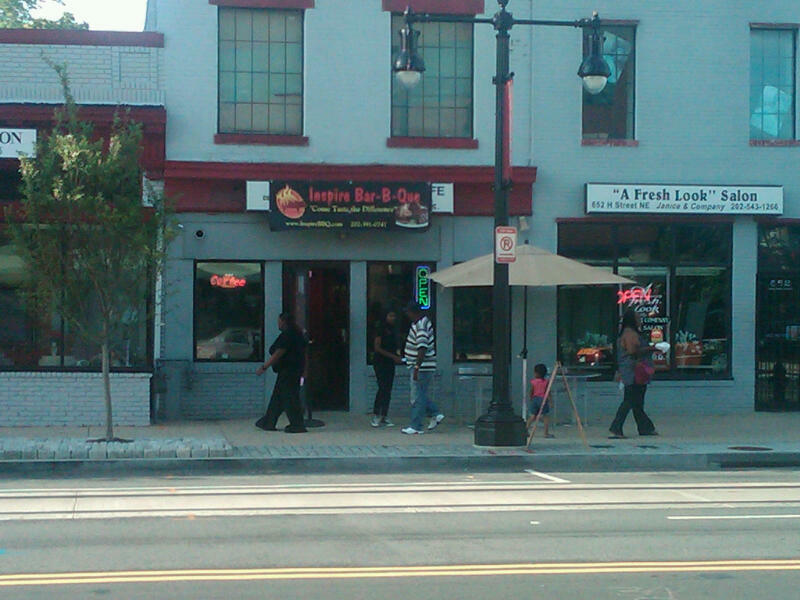 You can easily drive H Street everyday and not notice Inspire BBQ. Its small store front with only two tables outside and a tarp currently serving as its sign do not stand out. However, this relatively new BBQ joint located at 650 H Street is a nice place to grab a cheap and tasty dinner on the way home or for lunch on Saturday (closed Sunday). Recently, they announced that they would be open until 11pm. Whenever you go, plan on taking it with you because there is literally no where to sit inside and only two tables outside that are practically on the curb. Because there are not many other places around it, parking is usually pretty easy in the evening. We are always skeptical that BBQ places with too many meat choices and without a clear regional preference (i.e. Carolina, Texas, Memphis, Savannah, or Kansas City) will lack focus. We prefer that BBQ restaurants have a clear style and focus rather than trying to be everything at once. Places with too many varieties of meat risk not doing any of them well. While Inspire BBQ did not have a clear region and did have several meat options (beef ribs, pulled pork, pulled chicken, chicken quarters, and brisket), we left satisfied. (Note: beware of the menu online, it claims that certain dishes are served ways they are not. For example, the ribs did not include bread or onions). Most of the new investment on the east end of H Street ends at 14th street, and, for the most part, the remaining block until H Street intersects with Maryland Avenue and Bladensburg Road has not been affected by the recent development nearby. 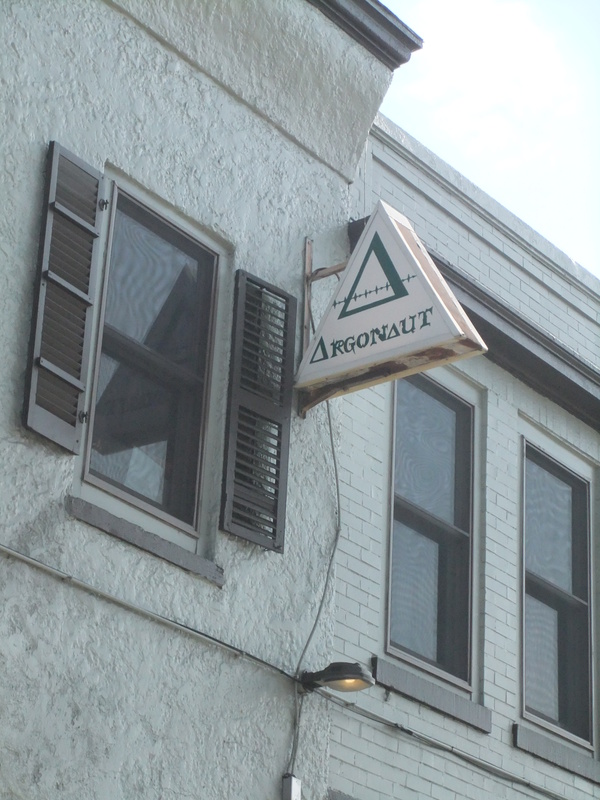 However, if you continue to walk east on H Street past 14th street, you will run across one of the original businesses in the revitalization of H Street: The Argonaut Tavern. 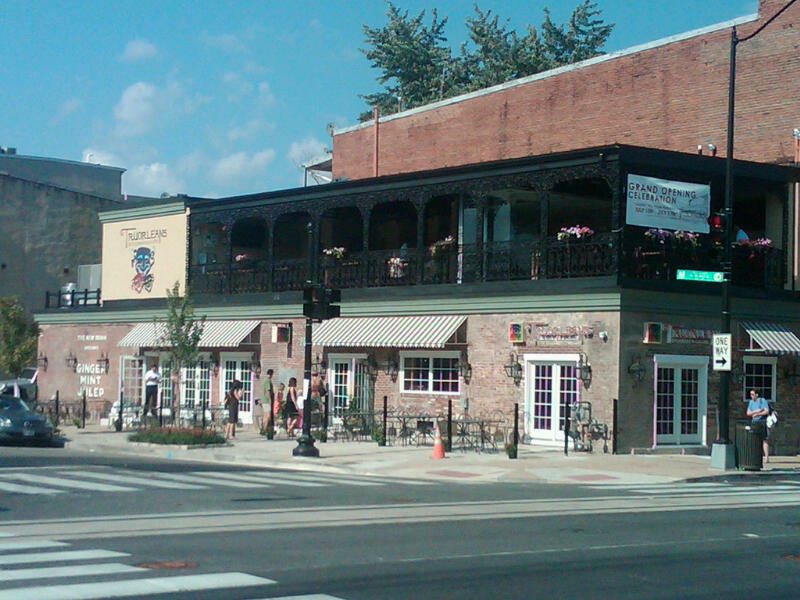 Begun in 2005 by H Street pioneer Joe Englert (Rock and Roll Hotel, The Pug, Sticky Rice, Granville Moore’s, and H Street Country Club among others), The Argonaut advertises itself as “the grandfather” of the Atlas District and an “old English-style tavern.” The servers all wear black, pirate themed t-shirts that claim The Argonaut has “The Best Booty in Town.” Recently The Argonaut has undergone extensive renovations after a fire last year burned down its kitchen. The Argonaut also added an outdoor patio in the last several months to allow guests to enjoy a drink or a meal outside when weather allows. On opening weekend, Tru Orleans succeeded in bringing a tiny bit of the French Quarter in New Orleans to DC’s H Street Corridor. In fact, if you ignored the rundown buildings across the street, you might think you had been briefly transported to Bourbon Street. The exciting atmosphere and promising food at Tru Orleans (400 H Street, NE) should excite anyone who has ever visited the Big Easy.